In a potentially significant move in Missouri, HB 1550 has passed the Missouri House and Senate. The bill now sits on the desk of Governor Jeremiah Nixon. If Governor Nixon signs this bill, this would move Missouri further toward making shared parenting the norm in multiple ways. Requires courts to provide written findings and conclusions in a custody case, which makes the case appealable if a party disagrees with judgment. Prohibits local courts from establishing their own rules, such as having a default-parenting plan. To read the entire proposed legislation, you can do so here at the following link. It is important to note was well that for unmarried fathers, they will still need to file a paternity case to establish an enforceable visitation schedule. However, this statute, if signed into law, would nonetheless have a significant impact on Missouri child custody determinations. While the new required language referenced above indicates that a party does not need an attorney to prepare and file a family access motion, having an attorney is still advisable in most instances. Among other reasons, this is because the other parent could ultimately hire an attorney, which would put the party without an attorney at a disadvantage –particularly if the matter results in an evidentiary hearing. 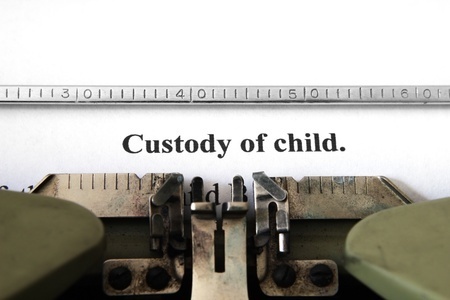 If you are going through a child custody matter in Missouri of Illinois, Stange Law Firm, PC can help. You can reach us at 1-855-805-0595.